The full moon day in the month of Bhadrapada (August – September) is observed as Prostapadi Purnima. In 2019, the date of Prostapadi Purnima is September 13. The fifteen day auspicious period which begins on the first day of the Bhadrapad Shukla Paksha (waxing phase of moon) ends on Prostapadi Poornima day. Prostapadi Purnima falls during the Chaturmas period. 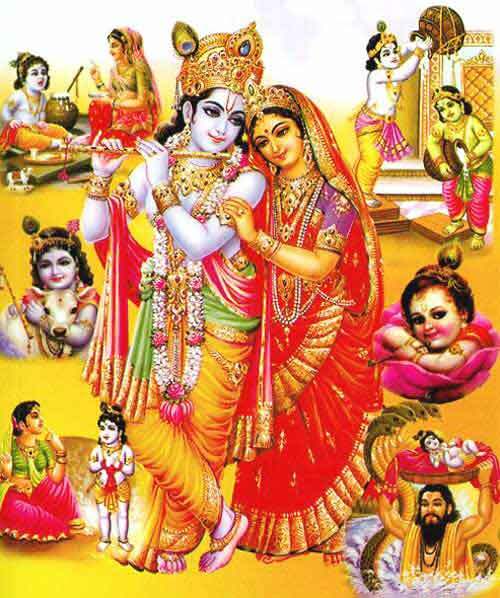 The most important event on the day is the reading of the Srimad Bhagavata Purana. It is believed that listening to Bhagavata Purana brings peace and prosperity. Various Vaishnava spiritual organizations conduct special Bhagavata Purana reading on the day. The day is of great importance in Gujarat.